Inlays and onlays are dental procedures of restoring normal tooth structure and function after decay. If you have damaged tooth, but the damage is not widespread so dental crown is not needed, or if you have an old filling that needs to be replaced, you might be an ideal candidate for inlay and onlay work. A dental inlay is performed when the portion of the tooth that needs to be replaced is within the top edges of the tooth (cusp tips). 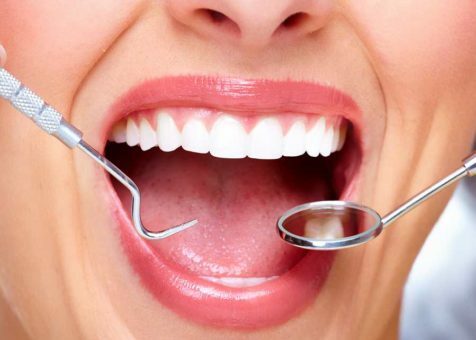 A dental onlay is done when the damage of the tooth is more extensive and includes one or more tooth cusps. It usually takes 2 appointments for both inlay and onlay procedure to be completed. Inlays and onlays are performed in similar fashion. First, the damaged portion is removed and impression of the tooth is taken and sent to the dental laboratory where inlay or onlay that will fit your tooth perfectly is made. Inlays and onlays are usually made of porcelain, gold or composite resin. While you wait for your restoration to be made, our dentist will create temporary cover that will protect your tooth from damage. When your inlay or onlay is ready, you will return to the office where your restoration will be bond to the tooth. Inlays and onlays are great techniques to strengthen your decayed teeth. They are extremely durable and allow more of your natural tooth to be preserved.